At first glance, you wouldn’t think Dr. Tara Kaur would need my services. Her office was lovely, uncluttered, and expressed a message of excellence. Her space wasn’t large, yet there was a feeling of expansiveness. 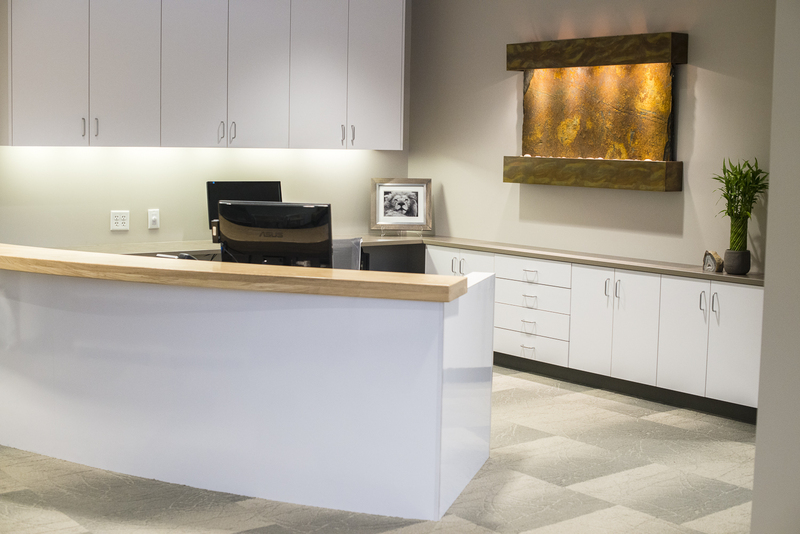 She had judiciously added a round wall, curved reception desk and a round ceiling feature—perfect in an office where that shape supports her kind of detailed work. On the surface, everything looked perfect. But, in her opinion, something was not right, something felt “off.” Despite the outward appearance, Dr. Kaur was not feeling connected in her own business and at the end of the day went home exhausted. Additionally, employee turnover was high which added to her overwhelm. Sometimes incorporating Integrative Space involves re-painting, adding furniture or taking some away, removing a wall or adding one, buying new artwork. And sometimes, it’s the smallest action taken with care and intention—and everything changes. This is what happened in Dr. Kaur’s place of practice. Because she had put her space together beautifully, I focused on listening to her words about how she felt being in the space: not connected, exhausted, overwhelmed, frustrated. A beautiful space does not cure everything. How you feel in the space is what matters. As a result of what she told me, we did the majority of our work together in her office. 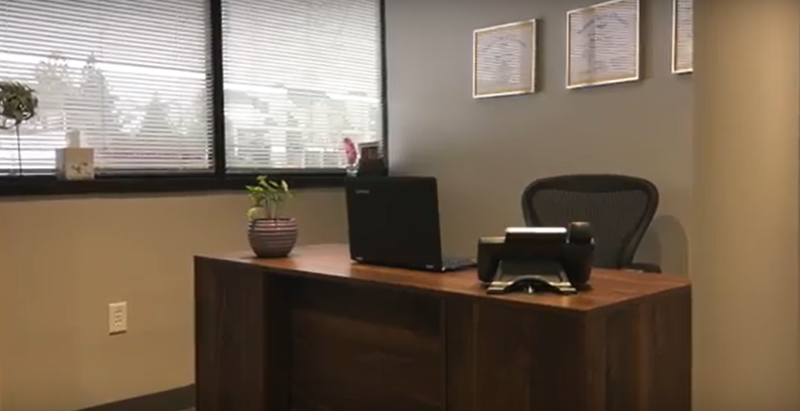 In the original office arrangement, Dr. Kaur was positioned so that her desk was visible to people sitting in the waiting area. Unless she continually closed the door, people could see her without her knowing it. This situation sets up an underlying sense of vulnerability, unexpected surprises, and certainly is a violation of her privacy. Much of this was playing out in her business. In addition, her desk was too small for someone who is the owner—a message about thinking small and not taking ownership. 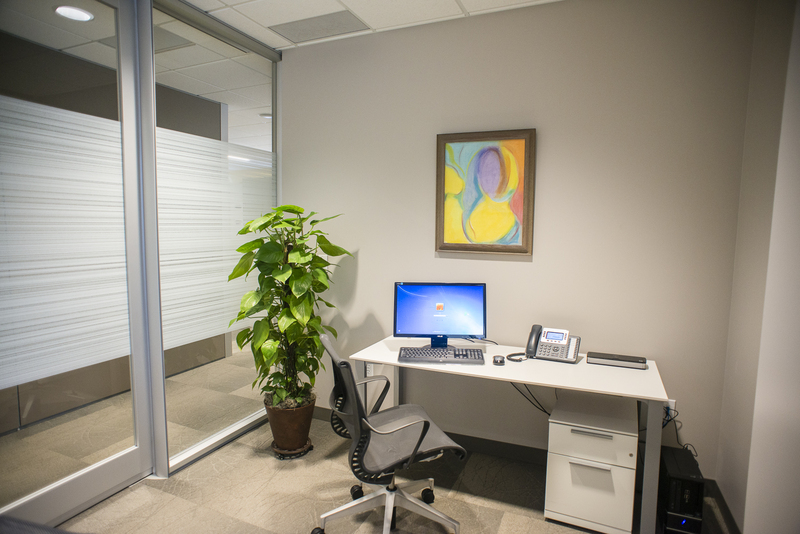 Within a few days, Dr. Kaur made two changes in her office. She exchanged her desk for a larger more professional one and moved it to the other side of the office out of the way of the door. This removed the vulnerability she was feeling and now put her “in charge” of her space. The outcome of such a relatively easy change? She is less tired; she feels supported; she finds it easier to speak up; she delegates; and she gets more done because of fewer interruptions. This did not go unnoticed by her staff as well. A simple change to create a more Integrated Space, for sure. But powerful and tangible results. If you want to see all that we did together in Dr. Kaur’s office, watch here as we discuss the highlights of this appointment.